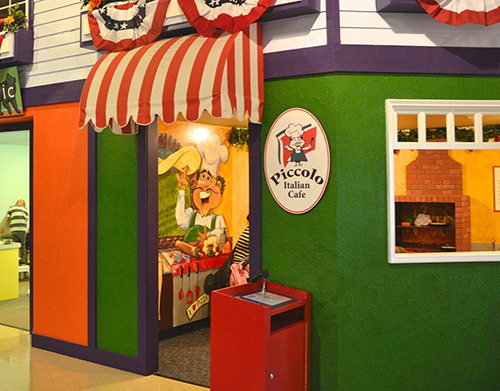 Be sure to drop in Piccolo Café, a make-believe restaurant where you can seat customers, take their orders and prepare and serve your own yummy Italian feast. A hostess station, wood-fire oven and a kitchen packed with a variety of food and drinks will make it feel like a true dining experience. Now that’s amore! 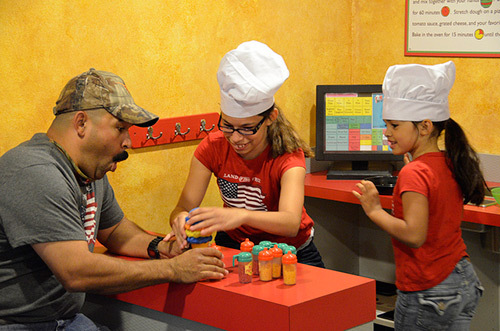 Power of Play: Role playing in the Café helps children build their communication, cooperation and organizational skills while interacting with their own families as well as others. Playful Tip: Let your child prepare an imaginative dish (spaghetti salad, anyone?) and use your manners to show respect for their creativity and hard work.